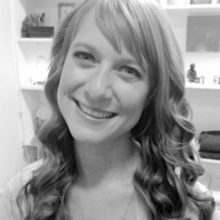 Janine graduated as a massage therapist from Mount Royal University in 2004 and has been practicing since. Starting in 2016, she was an instructor at Mount Royal University’s Massage Therapy Program and massage therapy at MaKami College. Her massage therapy practice expands from working in Chiropractic clinics to South American beaches and now Janine practices from her own clinic in Calgary. Her specialization in pregnancy, postnatal and infant massage therapy is complimented by her Doula training. As an instructor for Seminars for Health Pregnancy and Postnatal Massage course, Janine uplifts and enables therapist to provide a safe and confident massage treatment. Her instruction not only focus on providing a quality massage treatment, but inspires students to understand the emotional and physical changes and challenges that their client may be going through. This course provides students with the foundation to specialize in pregnancy and postnatal massage care. Having personal home birth experience, Janine is blessed with two children and a new born. Become Certified in Prenatal and Postnatal Massage with this 3 day-two course Certification Program.